June 26,2013. St.Petersburg,Russia. ATOMEXPO 2013 International Industry Forum for nuclear energy. Pictured: the stand of the Atomic Energy Organization of Iran (AEOI). 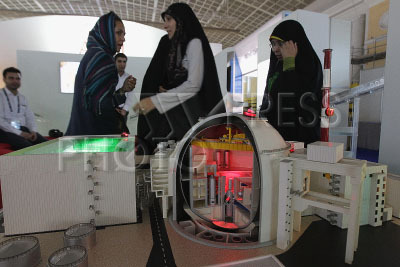 Model of Iranian Bushehr nuclear power plant (c).